Pregnancy is a beautiful thing, but it doesn’t come without changes to your body over the nine months. Trust us, we know! 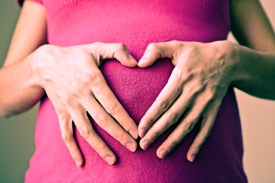 What’s happening in your body during pregnancy? As your uterus stretches and your baby grows, your posture changes and adds additional stress to your spine and the rest of your body. This commonly leads to the low back complaints in the later months of pregnancy. The low back pain is in part due to strain on your sacral joints and nerves. This can also lead to constraint on the uterus because of where the muscles and ligaments attach to the sacrum. So, let’s prevent any discomfort from happening so you can feel your best during your pregnancy! 1. Prepares the pelvis for an easier pregnancy and birth by creating a state of balance in pelvic bony structures, muscles and ligaments. 2. Removes torsion of the ligaments that support your uterus, thus potentially reducing aberrant tension to your uterus. 3. Reduces interference to your nervous system which controls and co-ordinates all of your systems and functions. 4. By improving maternal function, we’re decreasing the potential for unnecessary intervention. 1. Reduces interference to your nervous system allowing for better development for your baby. 3. Offers your baby the room to move into the best possible position for birth. 4. With proper fetal positioning, there is a significant decrease in dystocia and the resulting birth trauma caused by intervention. Want to know more? Stop in and visit us so we can see how chiropractic care can help you and your baby!